Sorata's friend Nanami, a second year student and aspiring voice actress, pushes him to find new owners for the many cats so that he can quickly move back into the regular dorms. However, his desire to escape Sakura Hall wavers when the pet-like and infantile second year Mashiro Shiina, a world-class artistic savant looking to become a mangaka, transfers in during the spring trimester and quickly latches onto him. Supported by each other's quirks, Sorata and Mashiro come out of their shells and trigger change in the lives of those around them. 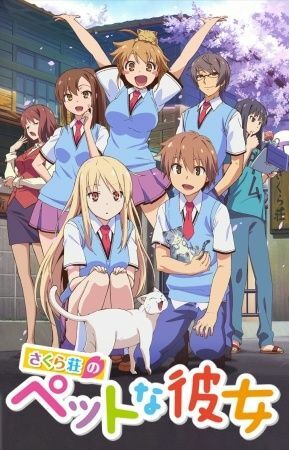 Based on the light novel series of the same name, Sakurasou no Pet na Kanojo explores the fine threads connecting talent, hard work, romance, and friendship with its ensemble cast.